Just a quick post this morning to celebrate the release day of The Sentinel’s Reign. It’s now live on Amazon and available to read for free to Kindle Unlimited customers. Hopefully through the course of the day there will be a few release day posts and excerpts, plus a few reviews and guest posts are due in over the coming days. I will be checking out your comments, so please get in touch. That’s it, the time is almost here. In just a few hours, The Sentinel’s Reign will be downloaded to the kindles of all those who’ve pre-ordered it. As promised over the coming days I will be sharing the links to all the blogs that are helping to spread the news about my new release. Today Karen at My Train of Thoughts shared a preview of the first chapter of The Sentinel’s Reign. Check out her post here. Danny at Dansbooksblog shared a Book Spotlight on The Sentinel’s Reign and will feature me again on Saturday for a special guest post all about characters. Today’s post is here. There is not much more to say, except thank you for following, sharing and liking the posts. 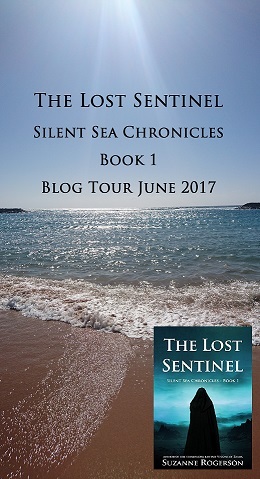 I hope you all enjoy the second instalment of the Silent Sea Chronicles.